From the most inspirational and intelligent creative to the goddamn hideous and stupid, reflections on the modern world of marketing communication. And a few fresh ideas. The methods and tools work for any sized business, including nonprofits. Is accessibility in your sight? October 12, 2017, was World Sight Day. Developed by the World Health Organisation (WHO) in 2000, World Sight Day aims to raise awareness about blindness and vision impairment for VISION 2020: The Right to Sight, a global initiative. According to the research described by Dr Norman Doidge in his book, The Brain that Changes Itself, those without sight can use hearing and touch to activate the visual part of the brain. Remarkably, the study also found that by the visual cortex was much more strongly activated for the blind subjects as for those who could see. Internationally-recognised disability services expert, Trevor Allan, says that adapting services for unsighted people is becoming more and more important around the world. 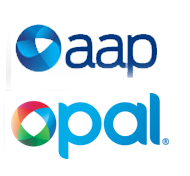 All Australian Government agencies are now required to ensure information and services are provided in a non-discriminatory accessible manner, under the Disability Discrimination Act 1992. “When it comes to electronic material, an unsighted person can access information by using what is known as assistive technology such as a screen reader, text-to-voice technology, and braille devices,” said Mr Allan. Highlands resident, Danielle Spinks-Earl, is a communications and marketing consultant who believes many organisations don’t understand how important accessibility is or how to achieve it. “There is a large amount of information in the public domain that is not set up to be accessible for those who are using assistive technology,” said Ms Spinks-Earl. “For example, many people know that an alternative text field is for adding a description of an image, but often it is left blank in a website or document, or it says ‘image’. For an unsighted person, this is like opening a family photo album and seeing page after page of blank squares and the word ‘image’. Danielle Spinks-Earl has sought the advice of Trevor Allan, who is based in Wollongong, in developing interactive PDFs for government and international clients. Tucked into a heavy shelf of thick cookery, travel and psychology books, it was the colour (a browny-beetroot) and the loose cursive script ‘Wild Food’ that drew me over. The cover is nice at first glance, beautiful on the second. The tart/tort/pie in short focus is bright with splotches of raspberry red in the crisp foreground and pitted with baked-in browny beetroot in the back. The plate it sits on is turquoise blue and dusted with icing sugar. The title’s lettering is fat and flowing—a secondary salival trigger. 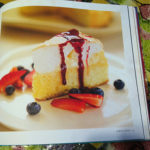 The author’s name (replete with unconventional spelling ‘Juleigh’ with good mouth feel) is balanced and exquisitely tucked into the space the eye will naturally move into after absorbing those tasty crumbs. Turn the page to the inside cover and here we go. The dust jacket is the same beety colour. Now I should tell you here and now that I have tried to determine the exact colour values of this elusive blend for years. Many years. I have identified Pantone 209, at some stage, and various shades with differing C, M , Y and K values, and altogether dissimilar RBG. The deception lies in its inconsistency. Differing times of day, differing paper stocks and finishes, differing screen monitors, sizes and devices—all of these change the appearance of this most volatile vermillion. But this is the one. It’s easy to make this colour go brown, unintentionally, but when it’s the perfect balance of magenta and cyan—and like a fine oil on a neutral-tasting square of bread, it needs the right stock to carry it—it is sublime. The jacket copy is white, Adobe Garamond, of course. But the lead paragraph of three is larger (perhaps 14 points and italicised as opposed to 12 points and regular) and the three are each ‘wildly’ left justified with one single hyphenation toward the bottom. Like the Royal Botanic Gardens in Christchurch, New Zealand, this finely tuned wildness. 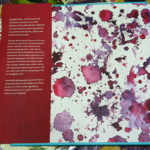 The inside cover artwork spreads across the 60 millimetre plus interior. It’s a tableau of excess, hedony and accidents. There are spills, smears and splatters of claret, garnet berries, sweet blood sugar, wine drops, mauvey with age. t looks just like the lampshade my two-year-old created for my birthday. I don’t mean that to sound wry or derogatory. 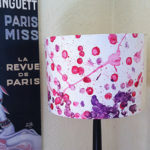 It’s just that it really does look very much like the lampshade my two-year-old created that is in our lounge room. Compare pictures of both. Glimpse above or below the artwork and you’ll see that sneaky companion colour, the opposite of the spectrum and what a treat—it’s the icy cool turquoise blue. What a palette! The section identities use a natural dry brush over two inches on the right panel to showcase the wild, script ingredient, picking up a colour that’s sampled from the food. The dry brush is repeated on the overleaf left sidebar but shrinks to a discreet one centimetre. 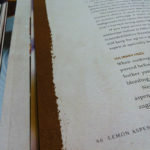 The book’s generous margination of a bottom and sides white space of 15 mills, with 20 mills on top, makes it feel luxurious, like a clean and minimal Hyatt room. 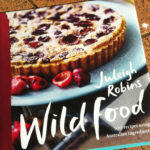 Wild Food is published by Lantern, an imprint of Penguin, and written by Juleigh Robin with Ian Robin as a consultant. One of the best things about Adobe InDesign is the ability to save your files as Interactive PDFs. 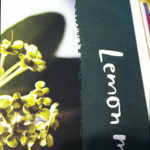 Imagine designing an online brochure with a photo for each of your products. When someone clicks a product image, it turns into a video showing off the cool features. If they have a question? They can fill in an enquiry form. This is no bog standard portable document format (PDF) file. You can add active hyperlinks, for example, and fillable forms. You can design a Submit button and have the data in that form sent to an email address. You can also add bookmarks and movies. Sometimes. Some people ask why not just have a website. The answer is that an interactive PDF can be more like a magazine, does not require an active internet connection, and can be emailed or supplied on a branded USB stick. The sky is the limit with what you could do with an interactive PDF. Here are a few ideas. Make an Annual Report for your company. Leave out the financial tables and use the general company info for your organisation all year round. Make a Product Catalogue to Email to prospective customers/clients. 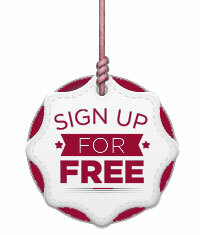 Make a membership brochure with a fillable application form. You can also link to a payment gateway like Paypal if you want. Show off a Portfolio of your work and have an enquiry form. Create a Conference booklet that includes a Gallery of Abstract Posters with links to findings, research presentations, and links to related sessions during the event. One of the challenges around interactive PDFs is the lack of consistency between PDF viewers over the internet. As Bob Levine says, “Most users think that a PDF is a PDF is a PDF. This is simply not true.” In that sense, PDF is a victim of its own success by the fact that it is now everywhere. The PDF file was created by Adobe, as well as InDesign and Acrobat, and interactive PDFs are best viewed using Adobe software–whether that is the free Adobe Reader of a sufficiently up-to-date standard (although it doesn’t need to be the latest. Version 7 is fine), or the paid Acrobat Pro or Acrobat DC. Some browsers have developed their own in-browser PDF viewing capability (Chrome and Firefox), but unfortunately, these don’t support all of the interactive features of the PDF. It’s a real pain and I wish they would get their software in order as Adobe should have the first and last word on what is a universal standard of PDF. If there are still issues with the user experience of interactive PDF, why not just create an App? Well, sure. But an App is often well beyond of many. How do you get around the issues? If a link is to be sent by email or embedded in a web page, it is best to mention that the PDF is interactive and best viewed in Adobe Acrobat or the free Adobe Reader (e.g. version 7 or later). If the document is extremely complex, I would suggest considering an alternative such as Fixed Layout ePub. This will create a magazine-style experience with navigation buttons and hyperlinks. How does it look in ISSUU? Issuu is a fantastic platform for online magazines I’ve been using for nearly a decade. I tested an interactive PDF in issuu and the results were better than I expected. The hyperlinks worked, including my link over to Paypal, and so did the fillable form. The video, however, didn’t play. No surprises there. Video seems to be the main bugbear when it comes to compatibility. If you are interested in turning an existing document into an interactive PDF, or Fixed Layout ePub, please get in touch. Who. What. When. Where. Why and How. I learned it 20 years ago. Still the formula, right? Sure, but you’re probably boring people. There are often better alternatives. “More infant wombats with easily curable illnesses will die unless State government immediately starts upgrading facilities at Wandin Valley Animal Hospital,” said Simon Bowen, the Hospital Director yesterday. With more tech, entrepreneurs everywhere and a sharing economy, a new ‘story-telling’ formula has emerged. I am indebted here to the enduringly helpful Joan Stewart, who credits Ann Wylie for the X, Y, Z, A formula. Commuters who now spend an hour each day driving from Sunrise Beach to Osage Beach will soon be able to make the trip in 15 minutes, thanks to a new bridge that the ABC Company will build this summer. The right formula depends on what the release is about and to whom it is being sent. Remember not all reporters report news the same way. If there is a different angle for a different audience, right a different release. There are plenty of people who still think a Media Release is a multipage advertisement for a product or service or announcement. A Media Release is closer to an Article. At least, it should have an angle of interest to a publication that will serve their readership. Try to help journalists meet their difficult deadlines by providing ready copy (text) they can lift straight out. That includes strong quotes, with clear and accurate attribution, and a balance of sources. Don’t use adjectives. The media release is completely impersonal. More often than not, it should have a ‘newsy’ objective feel. You are not launching a much-needed fantastic or exciting event. You are launching an event. Include your adjectives if you have to) in a direct quote from a person. Don’t bury the lead. Get to the point immediately. Use the ‘pyramid. The most important information should be right up front. Editors and journalists will edit for space by cutting from the bottom up. Don’t harass writers and editors by sending a teaser email and then asking them to contact you. They’re busy. Send them your info in the body of an email. Give them whatever they need to run a piece. If there are pictures available, let them know. Avoid sending attachments as they may not get opened due to antivirus protocols in many media organisations. Hope that helps. If you have any further pointers, please feel free to share them here. 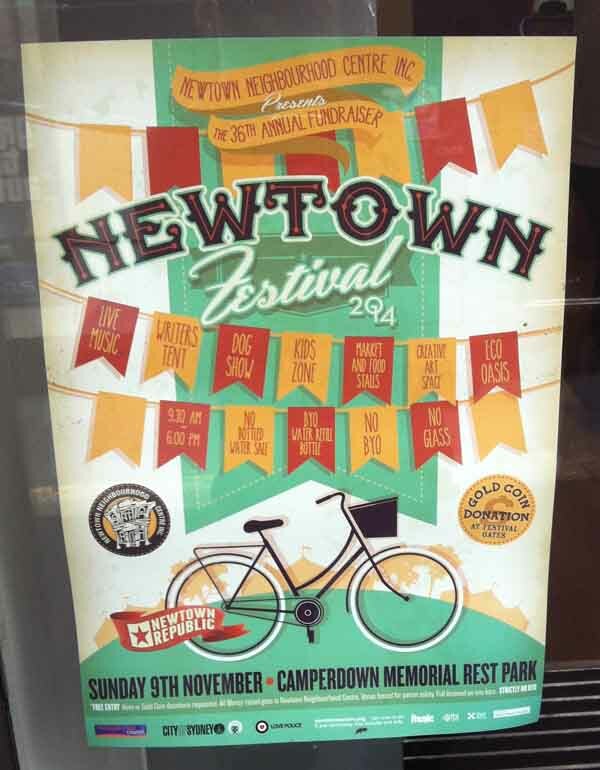 The artwork promoting Glebe Street Fair and Newtown Festival are both standouts. They make good case studies of what to do when you need to design something with a large amount of information. The designer of this event has been given a lot of information to include on a simple promotional poster. It could easily have been a mess. Instead, the designer has used a centred, vintage carnivalesque design with a simple colour palette of earthy and burnt orange, and a soft mint green as the highlight colour. The desaturated colours give the appropriate vintage look, which appeals to the local population. The flags also communicate community, backyard, and low-key. The featured image is the bicycle – a style popular in Newtown. Through the use of layers, the designer has added the symbols of marquees and trees in orange with about 50 per cent opacity behind the bicycle. All the logos, which need a solid colour background, have been placed at the bottom on the green park. The use of th oval shaped park also adds visual interest. As does the green hanging pendant in the bottom layer. Do you see the white arrow the negative space makes above the bicycle? If you looked at the bicycle first (I did), you then see an arrow indicating where to look next (the name of the event at the top). Whether you notice them as a viewer or not is unimportant. The design subconsciously leads the eye to the important information. Kudos to the designer, very nice job. Just like the Newtown Festival, Glebe St Fair designer has given a tonne of information to include in the poster design. Instead of chunky boxes everywhere, they have used a sky theme and a retro design. Again, a simple colour pallette of blue and black makes it a very elegant design piece. 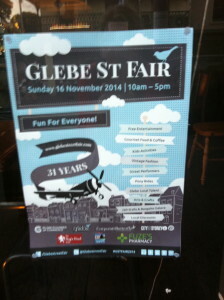 It has made the simple banner box ‘Glebe St Fair’ an oddly shaped rhombus, which draws attention. The clouds creeping over the borders also break up the consistency of the rectangle, making it more noticeable. The blue bird sitting up top on the word Fair might encourage Tweeting but also conveys that this is a community fair, involving everyone. The web address and ’34 years’ are communicated through the vintage plane’s ribbon sky trail. The plane becomes part of the design, flying over towards the signpost that indicates all the selling points of the fair. Decide on a theme that helps convey the spirit of the event. 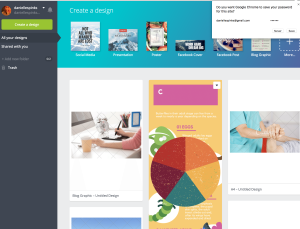 Use elements of the theme to add visual interest as well as showcase important features. Stick with a simple colour palette. Be aware of where the eye will lead. Lines can guide the viewer where to look. Put logos on a solid background (e.g. black, white, or another colour). 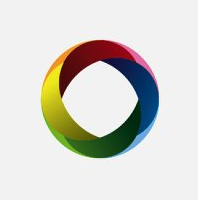 Gradients and changing tones will contravene most logo style guides. Use layers so that the artwork looks more dimensionally, rather than flat. I recently had a chance encounter with a group of Chinese students from Shanghai studying English in Sydney. I asked them what their favourite Australian brand was. I expected them to say Weetbix or Cricket Australia. Vegemite, even the ABC, perhaps. “Yoojiji,” was the answer I received. The entire group agreed. Yoojeejee was the class’s favourite Australian brand in China. There must have been some confusion. 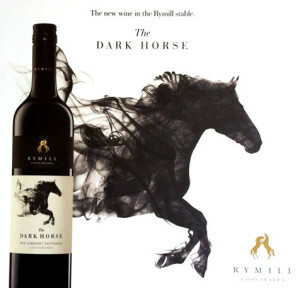 How can the favourite Australian brand be one I have never even heard of. I felt like an idiot for a moment. Then, duh. U.G.G. The humble Ugg boot is known as an acronym. UGG is renowned for its very high quality. China loves Australian wool. Cultural cringe aside, UGG has done well to position itself as a quality Australian brand in a highly quality conscious Chinese market. And the Australian branding of the Pitt Street, Sydney store seems to reflect those brand attributes and appeals to the Chinese tourist market. As you probably know, Coca-Cola has a product named Zero that’s heavily promoted around the world. ‘Getting to Zero’ is the strategy made by the Joint United Nations Programme on HIV/AIDS (UNAIDS). The vision is: Zero new infections. Zero discrimination. Zero AIDS-related deaths. In my mind, Coca-Cola scored a victory with this one. Whether this decision was made with Coke in mind or not isn’t clear. But let’s remember, Coke is the world’s number one brand. It has deep pockets and its needs to activate and reactivate the brand are endless. This is why I think it’s a good fit. Coke’s target audience is young people. It is a youth brand. Generations come and go, but Coke always targets young people. Why not middle-aged drinkers or kids? It’s well known that if you can capture a market young, you stand a good chance of retaining that loyalty for a long time. A child consumer becomes an adult consumer. There’s no need to target the other generations. f you make it relevant for young people, it’s always relevant. Coke has long used the power of music to add emotion to its brand. They say that the music you love as a teenager stays with you as music you love for the rest of your life. Something to do with the body’s hormones and first sexual experiences that I won’t go into. By using music, Coke says it aims to target teenagers with this campaign. Music is powerful. Everyone would have felt music’s visceral ability to lift a heart, churn a gut, evoke a tear. As such, the Coke AIDS campaign has used a William Orbit remix of Queen to seed the new vanguard. Coke is smartly tapping into all the emotion, struggle, celebrity and profile of this disease, in much the same way as beer or fast food brands tap into similar attributes of sports competitions. And if anyone likes a social cause, it’s the millennials. That means high shareability. It also wins on the ‘global’ criteria for a Coke sponsorship. In 2012, Coca-Cola enlisted as a partner of the (RED) campaign, together with other brands such as Nike, Girl, Bank of America, American Express and Converse. The campaign’s tagline is “Fighting For An AIDS Free Generation”. Pepsi used to run with the tagline, ‘the next generation’ Remember the Michael Jackson TVCs? Now Coke is flying the campaign flag “share the sound of an AIDS free generation” making the Pepsi’s old tagline seem meaningless in comparison. One downside of the campaign is the sheer number of different articulations coming from various AIDS organisations around the world. It’s such a common problem. Organisations clamour for attention and then try and say too many things at the same time. They need to stick with one message. I suppose it’s not uncommon, but it is a problem. No one can remember a twenty-word campaign name. No one remembers passive sentences and weak verbs like ‘reducing’ or ‘supporting’. We like Zero! It states the vision in no uncertain terms. All of the others are long-worded and fail on simplicity and memorability. They may be more accurate, but they’re not marketable. At least ‘Zero’ is easy to remember. And for Coca-Cola, that means consumers may just as likely think of a can of Coke Zero than reducing HIV.